Video shooting bracket for DSLR and video cameras, to provide reliable support. 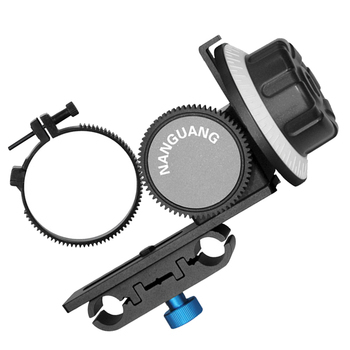 Film and cameras can move around the bracket conveniently; lightweight aluminum alloy, easy to shoot and carry; delicate and beautiful appearance, screw interface components firm and safe, convenient and reliable locking device. And can be used with the Matte Box bracket ,with focus and other accessories,it is the first choice for you to shoot high-quality video ! 1. to provide you with a stable and accurate video capture platform. 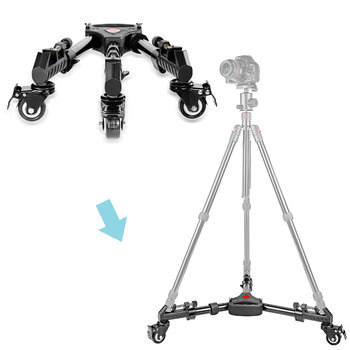 5.Camera cage bottom with a 1/4 and 3/8 screw holes, can be installed on a tripod to use. 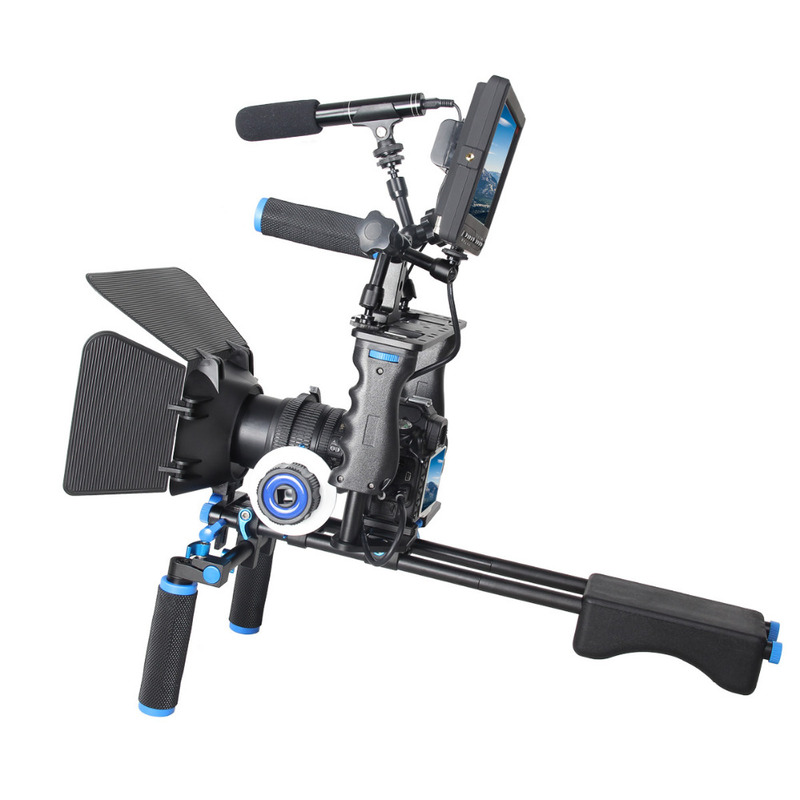 6.Cage with a quick release function, easy to install on the camera, the upper side of the porous design, standard camera screw holes 1/4″ and 3/8″ can be connected to various types of attachments, such as magic arm, monitors, microphones, etc. 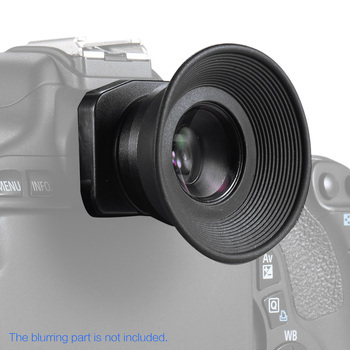 7.Products can be used alone, also matched with other photographic equipment. 8.Increase matte box, easy to adjust the light. 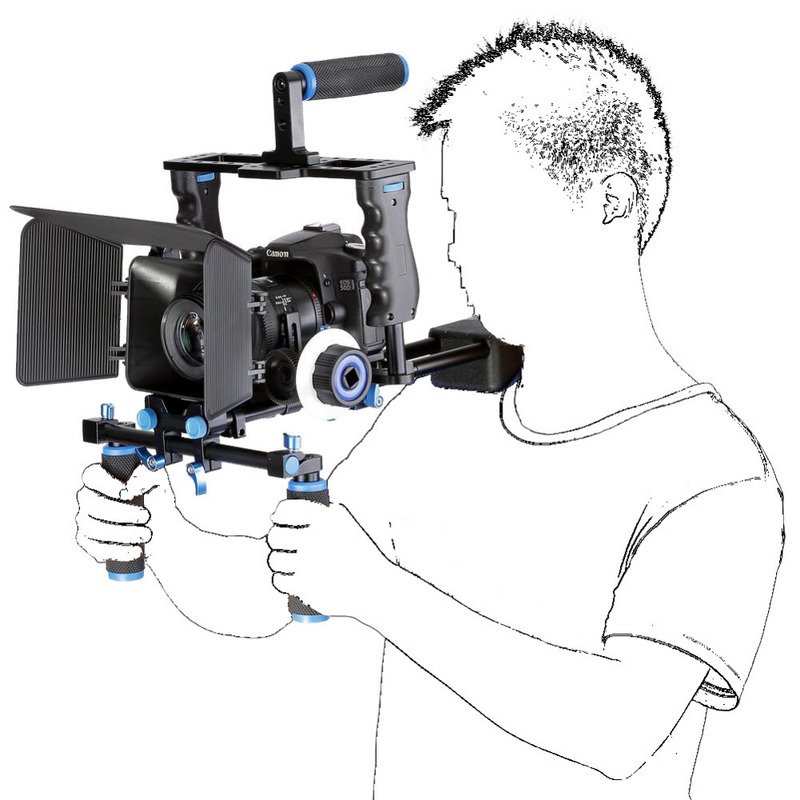 9.Increase follow focus, making focusing easier and more convenient. 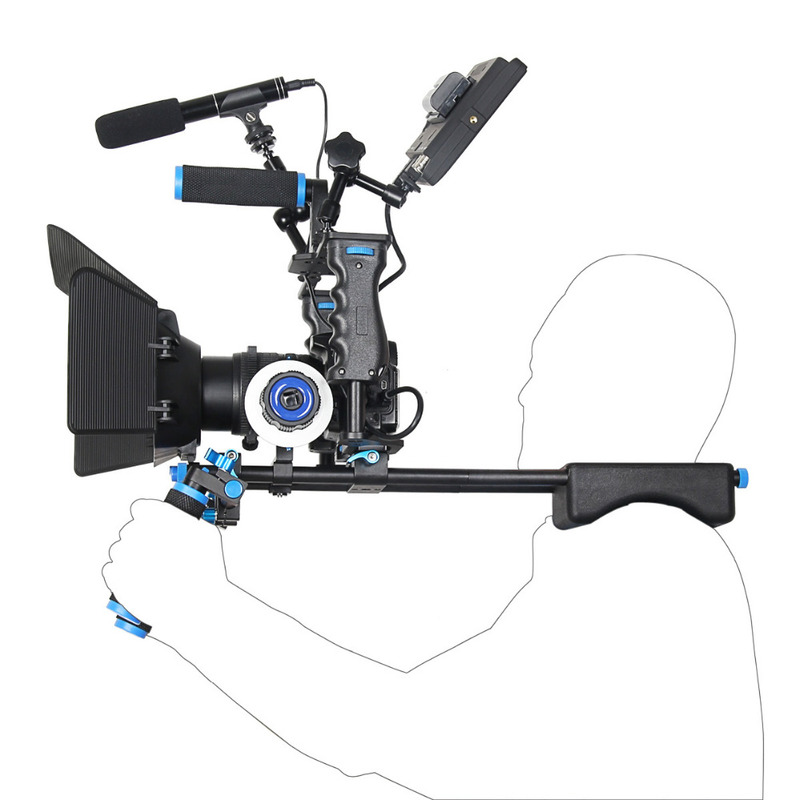 10.The cage instead of the original camera platform, can low shot, with better effect. 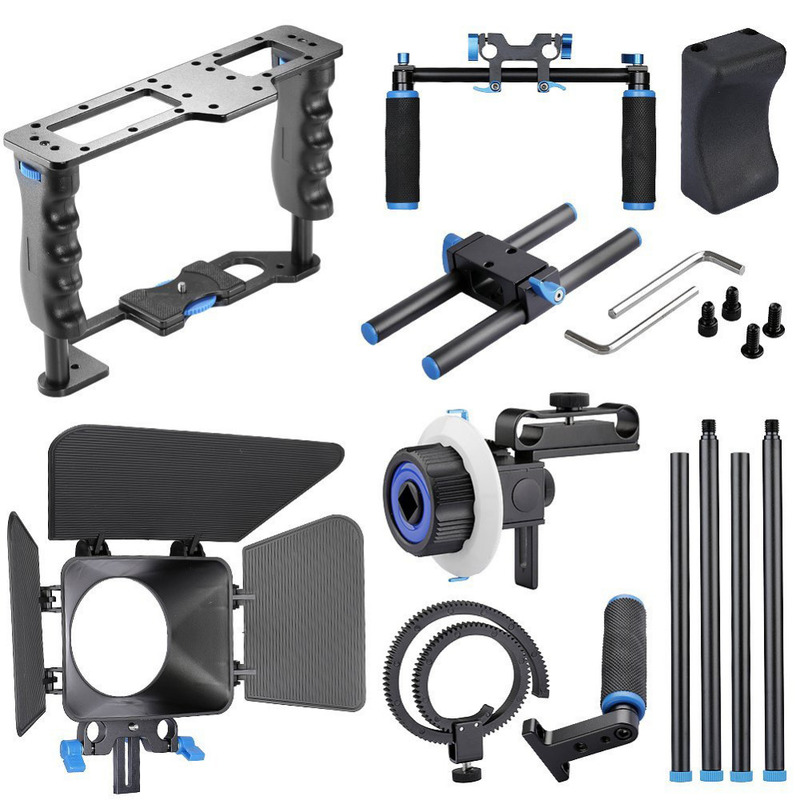 for Canon 6D 7D 60D 70D 5DII 5DIII Nikon D810 D710 D610 D3X Sony a7 etc. 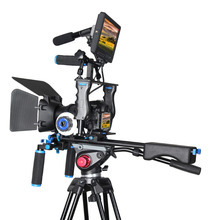 D SLR Camera Video DV Camcorder . I am very satisfied. 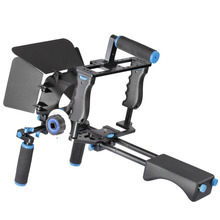 Thank you for having a good product at a reasonable price. I will be visiting your shop often in the future. very fast delivery to Sweden, got it within 5 days! instruction in English and good quality overhaul! it came in great condition, very fast, all the parts are in there, made with great material and not heavy at all. also the store was always communicating with me texting me and keeping in touch making sure I need anything else for the camera. will keep on buying equipment from this seller thank you Jessica the only thing it doesn't come with a TV monitor but it's worth it. Excellent Communication and quick delivery. Exceptional and great customer service. Best store experienced so far. A***** ratings.